Hexza Corporation Berhad, originally known as Norsechem (M) Sdn. Bhd. (Norsechem), was incorporated on 25th June 1969 as a private limited company on a joint-venture basis between two Norwegian companies, Overseas Company Ltd. and A/S Jotun Odd Gleditsch (now known as A/C Jotungruppen) and a Malaysian interest, Summit Holdings Sdn. Bhd. It commenced operations with an authorised capital of RM10,000,000 divided into 10,000,000 ordinary shares of RM1.00 each. After undergoing a scheme of reorganisation in 1979 in compliance with the New Economic Policy, it successfully made a public issue of 1,700,000 ordinary shares of RM1.00 each at par to the Malaysian public on 18th August 1979. 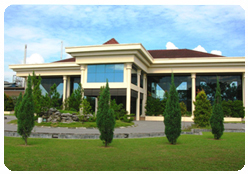 The Company was admitted to the Official List of the Kuala Lumpur Stock Exchange on 13th October 1979. The business of the Company consisted of the manufacture and distribution of synthetic resins, industrial glues and a whole range of urea-formaldehyde and phenol-formaldehyde products. The products originally manufactured by the Company and sold under the trademarks, ‘Noramin’ and ‘Norphen’, are well-known among industrial users of adhesive products. The market for these products comprises the manufacturers of plywood, chipboard, blockboard, mass-production furniture and laminated truck-decking industries. On 8th November 1983, the par value of the Company’s shares was changed from RM1.00 to RM0.50. On 1st January 1986, the Company transferred its business and assets relating to the manufacturing of adhesive products to a wholly-owned subsidiary, Norsechem Resins Sdn. Berhad. 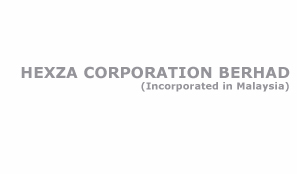 On 24th July 1986, it changed to its present name of Hexza Corporation Berhad. The Company is now an investment holding company with operating subsidiaries involved in a range of activities as set out in the corporate profile.